Gnomon School of Visual Effects has announced 2D Skills in 3D VFX: a free two-hour panel discussion and Q&A with three leading VFX artists from League of Legends developer Riot Games. The event takes place at the school’s Hollywood campus on Monday 12 October. 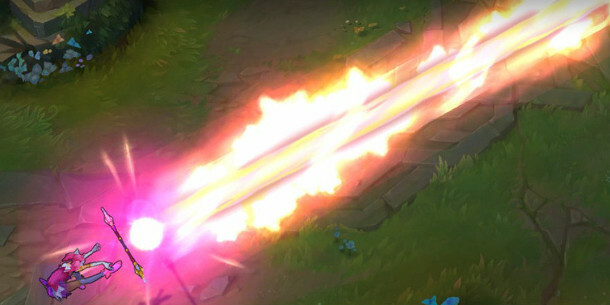 In the session, Riot Games’ community director of art Christina Wun and senior VFX artists Jason Keyser and Jin Yang will discuss work that so often goes unseen: the creation of visual effects for games. The round-table discussion and Q&A will provide an insight into how FX for games are created, and explore core skills for young artists hoping to pursue a career in the field. 2D Skills in 3D VFX takes place at the Gnomon School of Visual Effects in Hollywood from 8-10pm on Monday 12 October. Entry is free, but you need to register online in advance, and seating is first come first served. Unlike other recent Gnomon events, the session will not be livestreamed, so you’ll have to be in LA in person.